One ministerial source told the BBC’s Laura Kuenssberg there was “no agreement” around the cabinet table when a delay was discussed. On Monday, the Speaker said he would not allow a third “meaningful vote” in the coming days on “substantially the same” motion as MPs rejected last week. Brexit Secretary Stephen Barclay suggested a third vote on the Brexit deal could take place next week – after Mrs May has sought a delay. 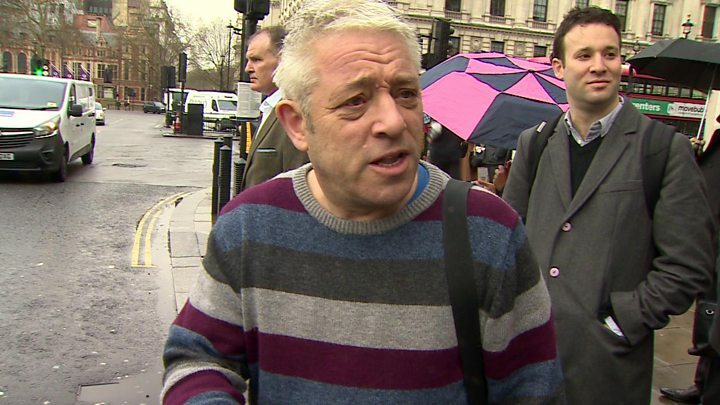 On Mr Bercow’s ruling, he said it was important to “respect the referee” and abide by his decisions – but, he added, the Speaker himself had said in the past that if Parliament was guided only by precedent then “nothing ever would change”. 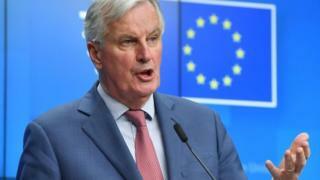 At a press conference in Brussels, Mr Barnier said it was up to the 27 EU leaders to decide whether to grant a delay, based on what was in the “best interest” of the bloc. 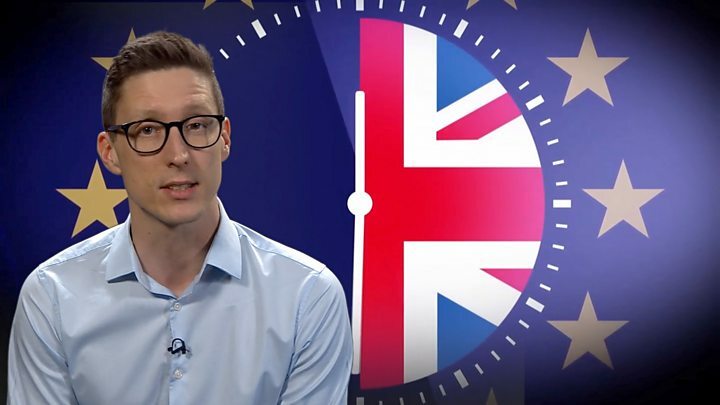 BBC Europe editor Katya Adler said the EU had “little trust” in the prime minister, with some leaders wanting to see proof from Parliament that MPs would support a longer delay before the EU signed up to it. 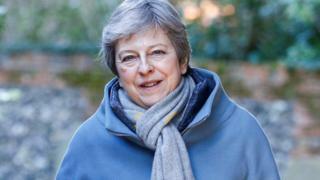 She said there was “irritation” that those at Westminster appeared to be “inward-looking” and were not taking into account the cost of a delay to the EU. She said the EU’s final decision on a delay may not be given this week, with talk of an emergency summit on 28 March. 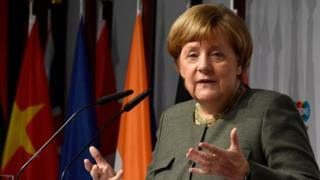 Earlier, German Chancellor Angela Merkel said she would struggle until the last possible moment to achieve “an orderly Brexit”, saying the interests of Germany, Britain and the EU were at stake. “They agreed that we must now see what proposals emerge from London in advance of the European Council meeting in Brussels on Thursday,” it said. Labour leader Jeremy Corbyn said the Speaker’s intervention showed Mr Bercow was “ensuring Parliament is taken seriously”. He said he had spoken to Conservative and Labour MPs about a so-called Norway-Plus style of future relationship with the EU – a closer one than Mrs May’s deal would bring about – calling it an “interesting idea” which had not got his “complete support”. 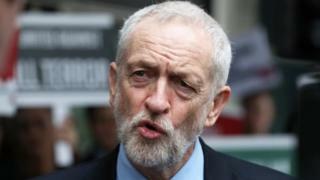 Mr Corbyn also held “constructive” talks with the Westminster leaders of the SNP, Liberal Democrats, Plaid Cymru and Green Party about the potential to unite around a closer future relationship with the EU, a Labour spokesman said. “We were there to talk about a People’s Vote and the only thing I felt he was comfortable talking about was Labour’s version of Brexit,” she said. Community Likes By Zion Members. Growing together.